How does it sound to you when someone uses the word awakening? I used to get a bit tweaked whenever I heard someone use this word. I thought they were using “awakening” in place of “enlightenment,” yet now I see the difference between the two words and actually appreciate that one can lead to the other. Even though a person might experience the two similarly…as the state of peace, presence, and clarity, the difference, as I see it now, is awakening is more in our immediate grasp and has a more contained scope. I think of awakening as a state of awareness and clarity about a particular aspect of your life. Enlightenment, as I understand it, is transcending the human condition of suffering to achieve a quasi-permanent state of peace, joy, and acceptance. It seems enlightenment is achieved by experiencing awakening after awakening until all the jagged edges of human conditioning are smoothed, allowing for a consistent connection to the purest essence of one’s soul. Since enlightenment can take many lifetimes, let’s focus for now on the concept of awakening. 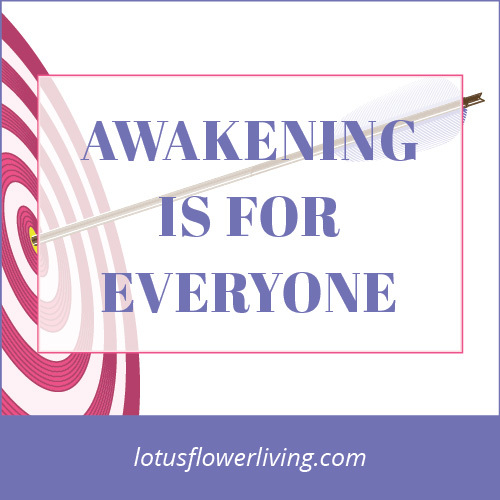 Have you ever heard someone say, “When I had my awakening…” and then go on to explain how their life changed in a very specific way? You see things differently and you just ‘get it’. And you know you ‘get it’. 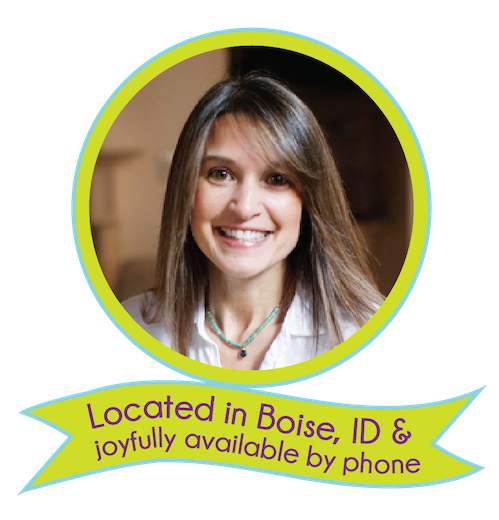 One time, in my holistic dentist’s office, the owner-dentist of that practice shared that at one point in her training she switched gears and fully embraced holistic dentistry over traditional. 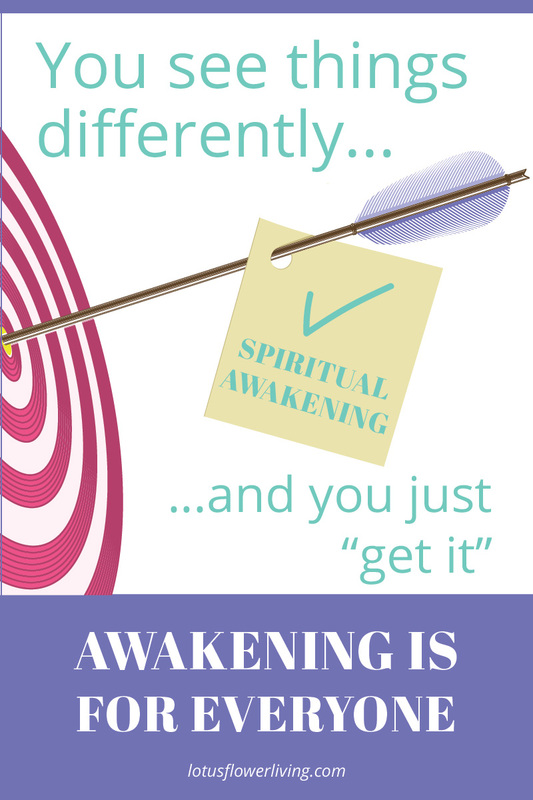 She described this change of awareness as that of having an “awakening.” For her, it was about understanding the difference between the two paths and that going holistic was her higher path. This isn’t enlightenment, and she didn’t describe it that way. She appropriately described it as her awakening to the virtues of holistic dentistry. Other examples are when someone works a serious program around co-dependency issues, and the resulting insights about self-esteem lead to new boundaries around who is allowed to influence her life. Or, the person who re-evaluates her childhood beliefs, enabling her to “pop out of misperceptions” about how things were and embrace a whole new way of being. Even for those who ignore the whole idea of personal growth, these life-insights still happen. We can’t really be here on earth in a body and not experience personal growth. Just being here counts towards your soul’s evolution. We can’t really be here on earth in a body and not experience personal growth. Therefore, I decided I want to take advantage of this contrast while I am here. I enjoy the belief that whatever we achieve and evolve in our emotional-spiritual life this lifetime, we get to keep and take with us. Challenges we face, hardships we overcome, and the strengths we develop… they all come with us – as do our relationships and the love we shared. I’m convinced of it. I also enjoy believing that we don’t have to solve all the world’s problems in ourselves. We each have our own special set of issues we hoped and planned to address this lifetime while we are here in this place of contrast. And by tackling these issues, we make our lives, and our world, so much better. Naturally, these awakenings add up and help us inch our way toward enlightenment, or at least help us to add more light to our life. Years ago I designed a special writing practice that allowed me to create my own awakenings by addressing one specific issue at a time. I would sit with paper and pen detangling my thought processes in an effort to illuminate blind spots and clear out stuck energy. My experience is that each awakening I achieve creates peace and space for more awakenings to happen. Given all this personal, spiritual logic, it all adds up to the idea we are meant to awaken. We are here to evolve, and being here helps us evolve. So, are awakenings for everyone? Yes, I believe so. 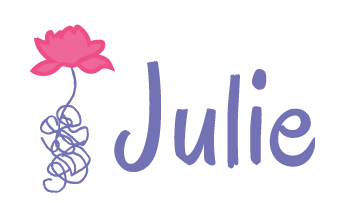 About the author: Julie Matheson is a holistic counselor helping clients create permanent change one pattern at a time through her guided writing process and energy clearing work. Are you ready for lifelong change?